During the trip, scheduled for May 25 to 31, DeSantis will be accompanied by dozens of lawmakers and invited guests. 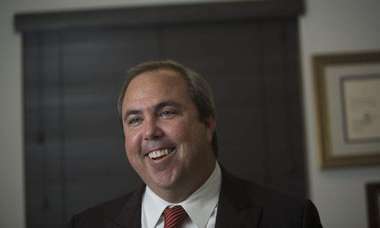 He said the mission of the trip, which is being hosted by Enterprise Florida, would be to promote investment in the state. 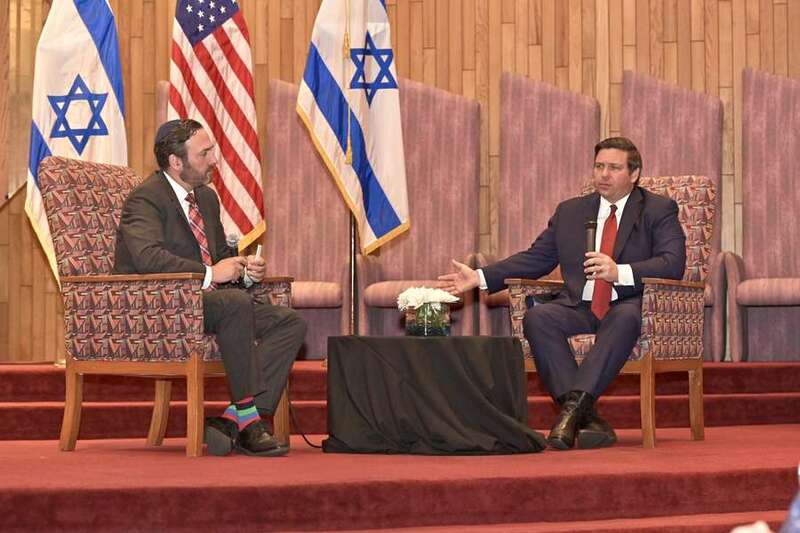 DeSantis, who promised during his campaign to be America’s most pro-Israel governor, met with members of South Florida’s Jewish community at Plantation’s Temple Kol Ami Emanu-El to announce the details of his first foreign trip as governor. During the trip, scheduled for May 25 to 31, DeSantis will be accompanied by dozens of lawmakers and invited guests. 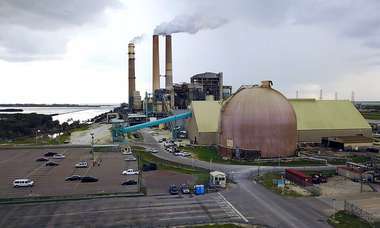 He said the mission of the trip, which is being hosted by Enterprise Florida, would be to promote investment in the state, tap the insight of Israeli researchers to solve water-quality and environmental issues and strengthen the relationship between Israel and Florida. He said his strong support for Israel comes from the shared values between the U.S. and Israel, not because of political contributions he receives from pro-Israel donors, as some critics — including Democratic U.S. Rep Ilhan Omar — have argued. 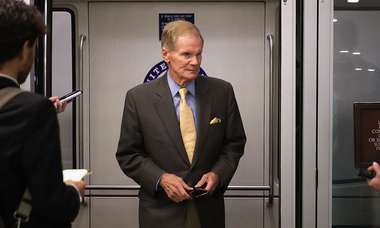 Ellyn Bogdanoff, a co-chair of the Israel trip and former Republican state senator, said she was confident Florida’s ties to Israel would strengthen under DeSantis’ tenure as governor, and that Floridians would benefit greatly from that relationship. “We have a lot to learn from Israel and hopefully a lot to share,” she said. Tuesday’s announcement came on Election Day in Israel, where embattled Prime Minister Benjamin Netanyahu faces a possible ouster after Israel’s attorney general recommended he be indicted on corruption charges. DeSantis, who worked with Netanyahu on the embassy move, said he’d look forward to meeting Israel’s prime minister — “who ever that may be” — during next month’s trip. During his time as a member of the House Foreign Affairs Committee, he visited Israel during the opening of the new embassy in Jerusalem last year. The controversial move was met with violence in Gaza, where 60 people died in protest clashes, according to media reports at the time. Tuesday’s announcement came as Republicans nationally are seeking to portray critics of Israel foreign policy, often Democrats, as misguided or even anti-Semitic. Despite his own history of pushing anti-Semitic tropes, President Donald Trump has tweeted that Democrats are “anti-Jewish” and that Omar should resign. U.S. House Republicans continue to draw attention to Omar’s comments in an effort to divide Democrats, the traditional political home for most American Jewish voters. In Florida, where there are about 470,000 Jewish voters who could play a critical role in the 2020 presidential election, DeSantis led the state Cabinet in January to taking a first step toward imposing economic sanctions against the home-sharing platform Airbnb because of a company decision against listing properties in the West Bank, an area that is a major flashpoint in Israeli-Palestinian relations. Republicans are also sponsoring legislation that would require universities and colleges to treat allegations of anti-Semitism the same as charges of racism. The bills define anti-Semitism to include accusing Jewish voters of being more loyal to Israel than the countries they reside. Information from the News Service of Florida and Times/Herald archives was used in this report.